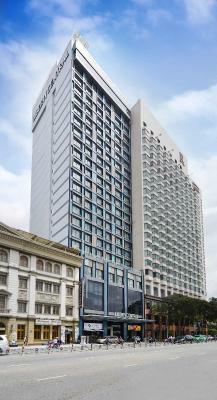 Lock in a great price for Liberty Central Saigon Riverside Hotel – rated 8.8 by recent guests! 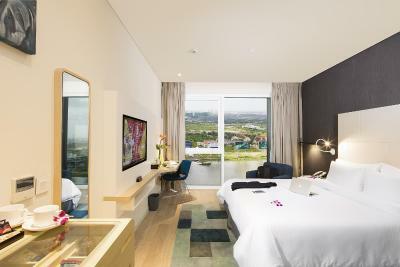 The staff were very helpful and the room had a nice city view. The hotel location along the riverside was lovely. Big beds good for family with children that share same room. Nice river view with big glass windows. Comfortable room. Very good breakfast. Very happy!!! Thank you and will see you again soon!! The location was perfect for the mew year fireworks. We stayed signature room that came with executive lounge access. It was very convenient for us. Hotel staffs are very nice and kind as well. Room was very clean. We had a good stay. it was a complete excellent stay in hotel. the service and stuff were very good! i will come again to stay here when i come to HCMC again! Booking.com room is very small. We upgraded in the hotel for $200 more to have the river view and access to the executive lounge. 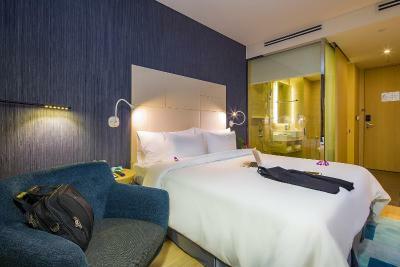 Liberty Central Saigon Riverside Hotel This rating is a reflection of how the property compares to the industry standard when it comes to price, facilities and services available. It's based on a self-evaluation by the property. Use this rating to help choose your stay! 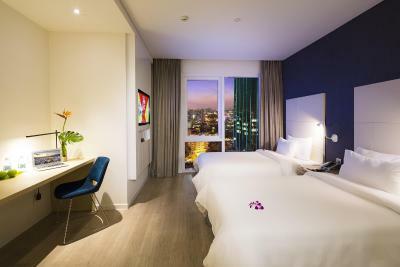 One of our top picks in Ho Chi Minh City.Overlooking the Saigon River, Liberty Central Saigon Riverside Hotel features modern and air-conditioned rooms and suites with city or river views and free Wi-Fi. 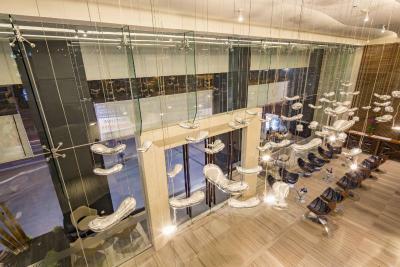 It has a rooftop pool, fitness center and 3 dining options. Less than half a mile from Liberty Central Saigon Riverside Hotel is Ben Thanh Market. 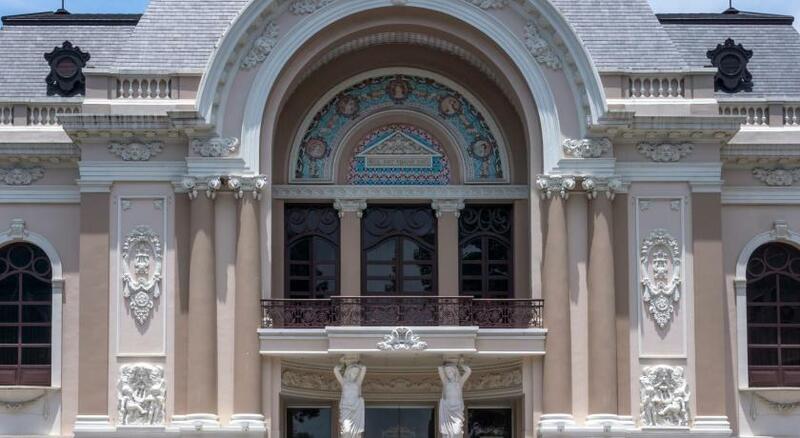 The Opera House is a 15-minute walk away and it takes 20 minutes to walk to the Notre Dame Cathedral of Saigon. 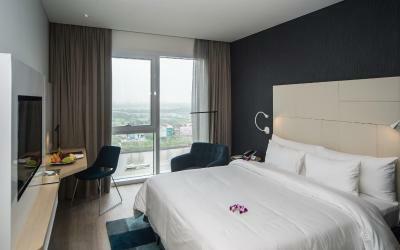 Tan Son Nhat International Airport is 3.5 miles from the hotel. 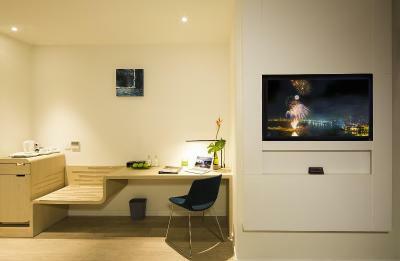 Each room has a flat-screen satellite TV and desk. 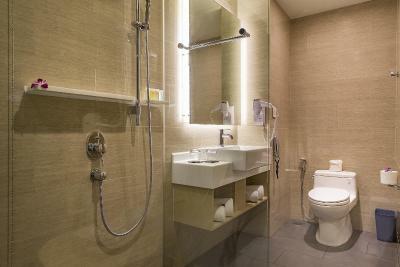 The private bathroom includes a hot shower and free toiletries. 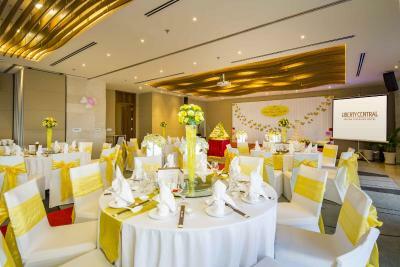 When would you like to stay at Liberty Central Saigon Riverside Hotel? 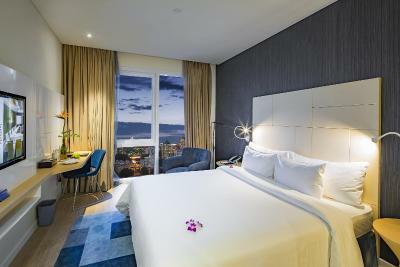 Offering city views, air-conditioned room features a flat-screen satellite TV and desk. Private bathroom includes hot shower and free toiletries. 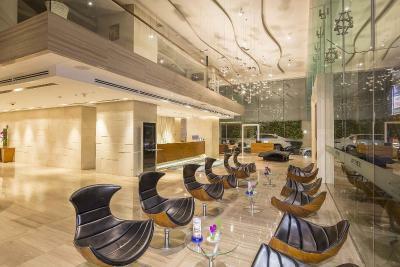 Offering city views and Executive Lounge access, larger air-conditioned room features a flat-screen satellite TV, seating area and desk. Private bathroom includes hot shower and free toiletries. - Welcome fruit basket in the room. 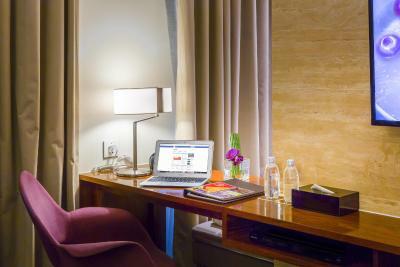 - Complimentary high-speed WiFi in room and broadband access in Executive Lounge. 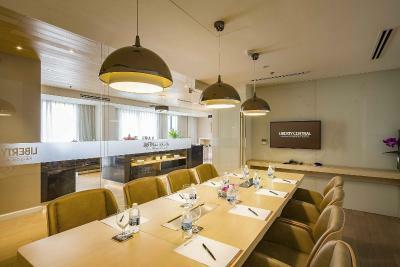 Offering river views, air-conditioned room features a flat-screen satellite TV and desk. Private bathroom includes a hot shower and free toiletries. 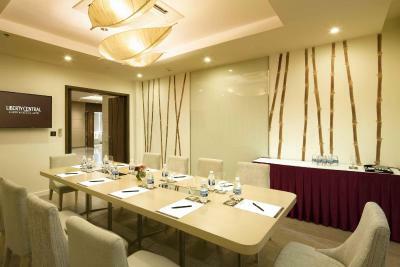 Offering river views and Executive Lounge Access, larger air-conditioned room features a flat-screen satellite TV, seating area and desk. Private bathroom includes hot shower and free toiletries. 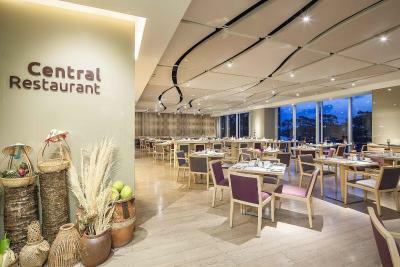 Located on Ton Duc Thang Street, along the active Saigon River, Liberty Central Saigon Riverside Hotel provides a romantic, tranquil vibe. 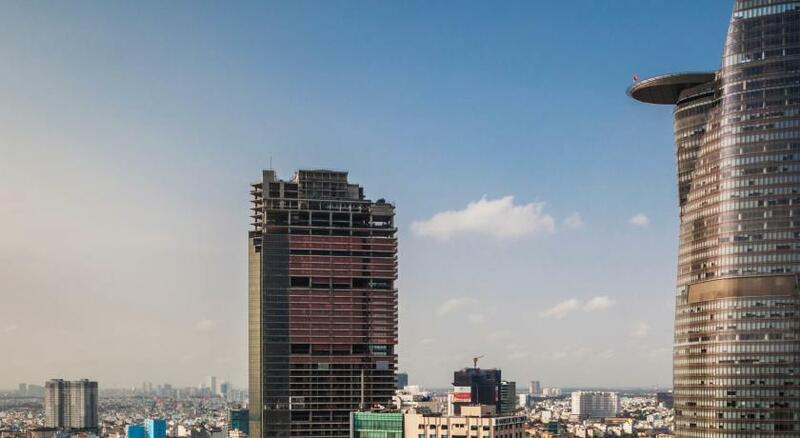 Just on the perimeter of Ho Chi Minh City’s Central Business District, we are in close proximity to the commercial shopping hub as well as in walking distance to many of the city’s prominent landmarks. 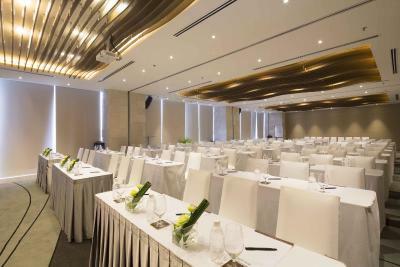 Our prime location makes this hotel an ideal locale for conferences, seminars and banquets, as catered by our dynamic services team. 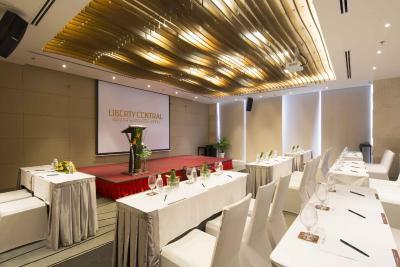 Liberty Central Saigon Riverside offers everything guests expect of an international 4-star hotel with an added sense of local vitality. 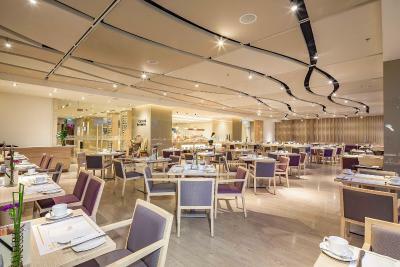 House Rules Liberty Central Saigon Riverside Hotel takes special requests – add in the next step! Liberty Central Saigon Riverside Hotel accepts these cards and reserves the right to temporarily hold an amount prior to arrival. Please note that a foreigner and a Vietnamese national sharing the same room must present a marriage certificate. Please note that guests are required to show the same credit card used for booking upon arrival. The property reserves the right to cancel the booking if guests fail to present the credit card upon check-in. The name on the credit card used for the booking should correspond to the guest staying at the property. Perfect riverside location with views from the room, pool and breakfast restaurant. Well trained pleasant staff and very centrally located. The pool is beautiful, but a bit small so seating fills up quickly in the afternoon. Room was quite small for what we believed a dilute room would be & then to have the expectation that your child should sleep in the same bed as the parents was disappointing. We were offered to up grade for a larger room & more inclusions but at a premium price we were not willing to pay. We had a non smoking room but the hotel loft, corridor and room smelt slightly musty. Perhaps it’s because there are some rooms that are smoking nearby? Not sure. Didn’t affect hotel experience a lot but detracts from first impression. Also, mornings are very noisy. The walls of the rooms seem to be thin. You can hear the cleaning ladies and other guests moving around and bumping things. Bed was really comfy. Rooftop pool was really good! Nice and shady and comfy seats in the shallow section of pool. Nice for an afternoon cocktail. Chill vibe was great. Quite small rooms but not an issue if only using as a base to explore city. Communication between staffs and departments. We had some drinks on the Friday (salsa) night and supposed to have 15% discount on the second drink (there was a flyer in our room). But during check out we checked our final bill and they didn't gave us the 15% discount. I mention to the reception but they had to check with the sky bar and didn't know anything about a flyer in the room advertising the 15% discount on second drink. Reception had to wait quite long on the phone, we didn't want to make a fuss of it so just payed the bill and catch our taxi to the airport. Except from this small incident, we had a fabulous stay!!!! The location was good, 2 blocks away from the busy square and many other shops and restaurant yet located in a really quite part. 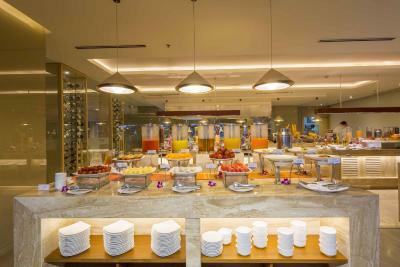 Breakfast was really good, a lot of choices and the staff pay attention to all the details. 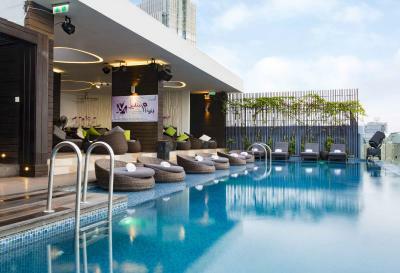 The skybar & the swimming pool have an amazing view. 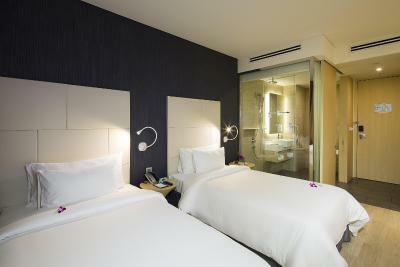 The room was spacious and have a huge and comfortable bed. The gym had a really nice view on the riverside, it was clean and it was well equipped, they even provide water for during the work out and have towels for you to use. 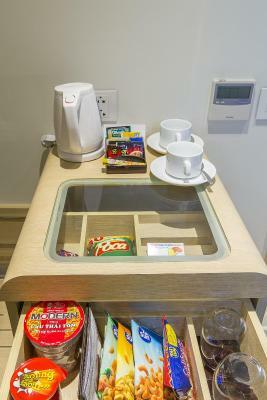 Rooms v comfortable, staff v friendly and efficient, breakfasts were superb ! 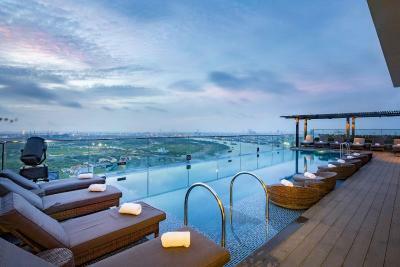 The swimming pool on the top floor is amazing, phenomenal views!! Staff were very friendly and helpful. Our room and corridor smelt like smoke .